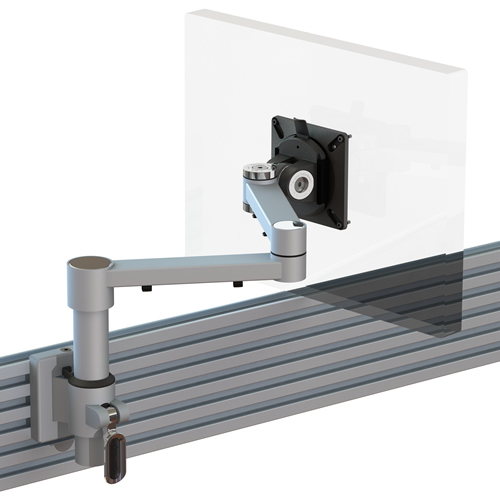 Our XSTREAMCOMB08 configuration is a dual beam monitor arm with a front end ratchet adjustment for tool rail fixing. 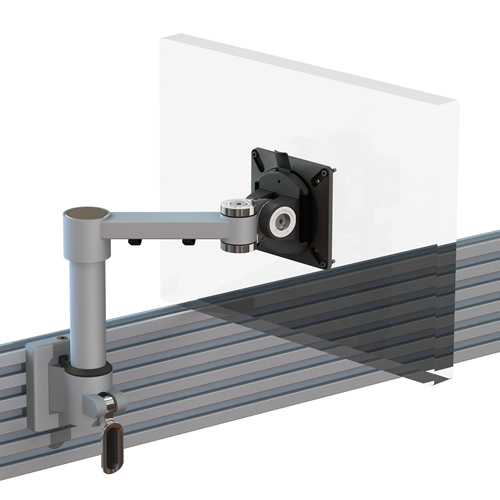 At full extension X-Stream provides a reach of 450mm, folding back on itself into a space of 40mm. 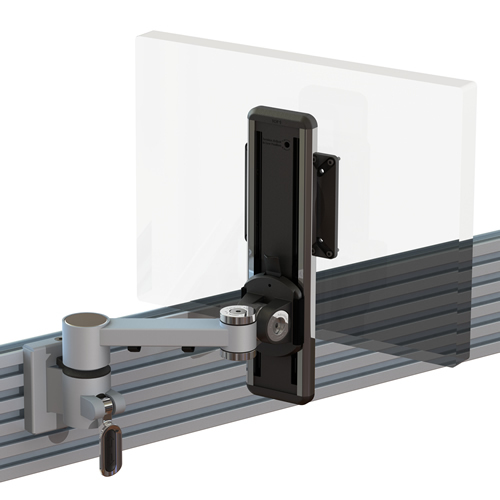 Fixed height arm with front end height adjustment ratchet mechanism giving a 140mm adjustment range.